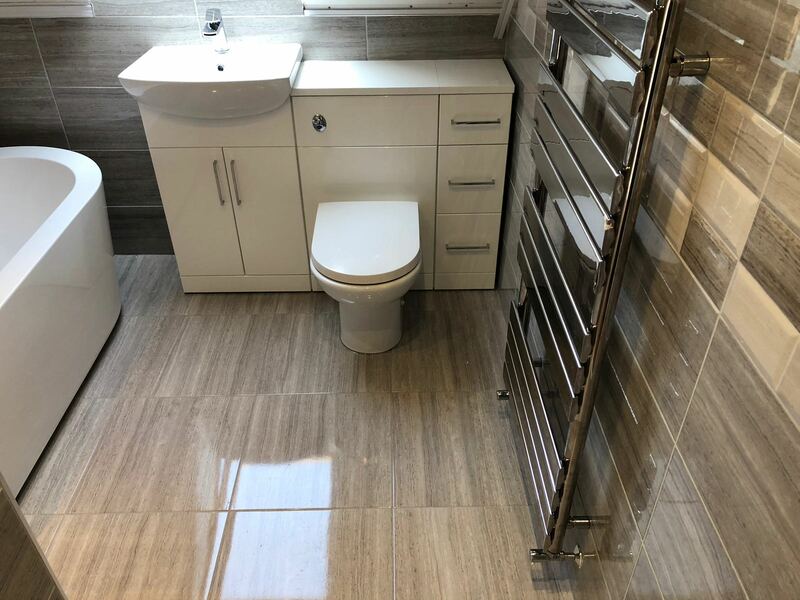 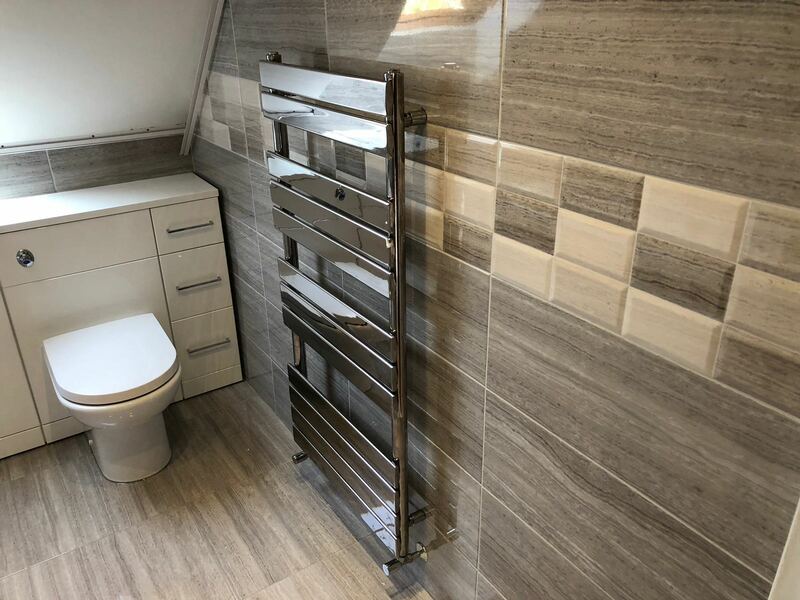 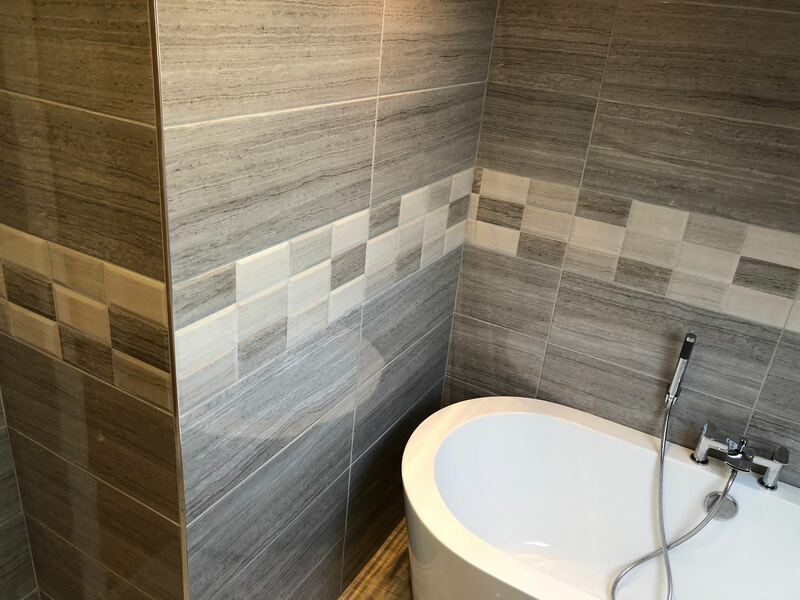 Fantastic bathroom completed this week with a lovely grey wall and floor tile and a decorative brick effect tile around the whole room. 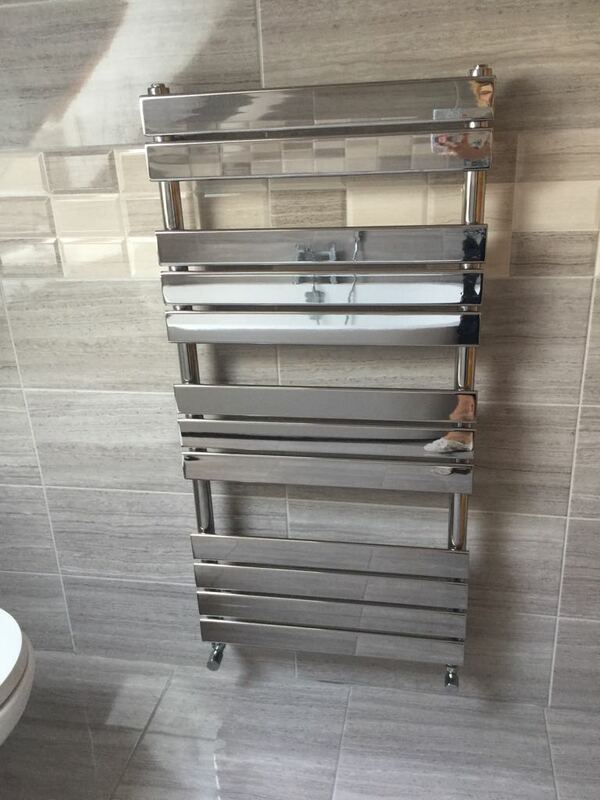 Modern large freestanding bath with a designer radiator. 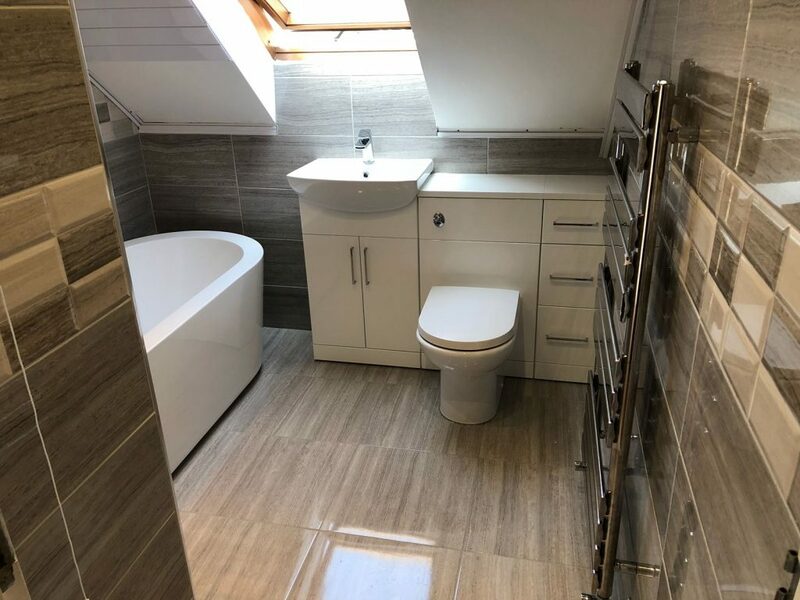 To complete the look a lovely row of bathroom furniture containing toilet, storage cabinet and vanity unit and basin. 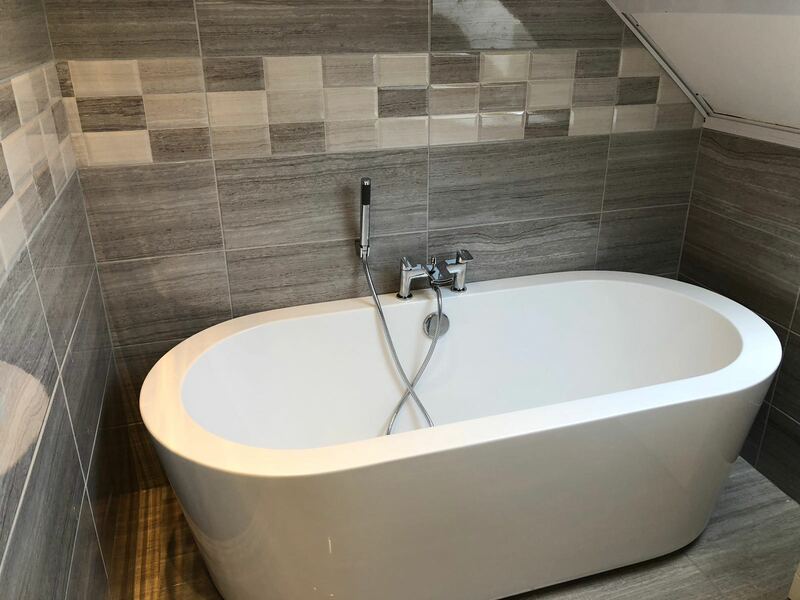 Call 02890687199 for your free no obligation house call out.